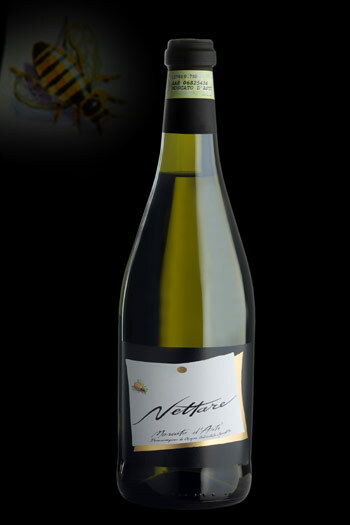 CHARACTERISTICS: yellow straw-coloured with golden reflexes; on the nose is full of yellow fruit perfums in particular peach and melon, with hints of honey and flowers like orange-blossoms; on the palate it has an agreeable and refined taste, it’s pulpy, sweet but very well balanced ,never nauseating, with a silky texture. MINIMUM ALCOHOL: 5,5 % vol. FERMENTATION: at 17-18° C, in order to achieve an alcohol content of 5.5°, after which the temperature is sharply reduced to 0° C. so as to halt the fermentation process. Before bottling, the wine undergoes a sterile filtration.